First, I have to admit that our Canadian Thanksgiving has come and gone already and I kind of have my Christmas stuff out already! Eek! 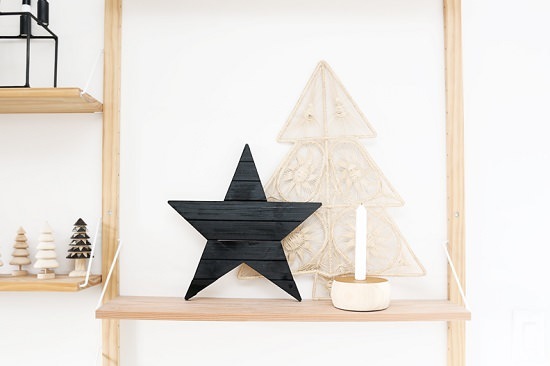 But this DIY Modern Gold + Wood Votive will work just as well for any holiday tabletop – including Thanksgiving! Remove the old rod using pliers. 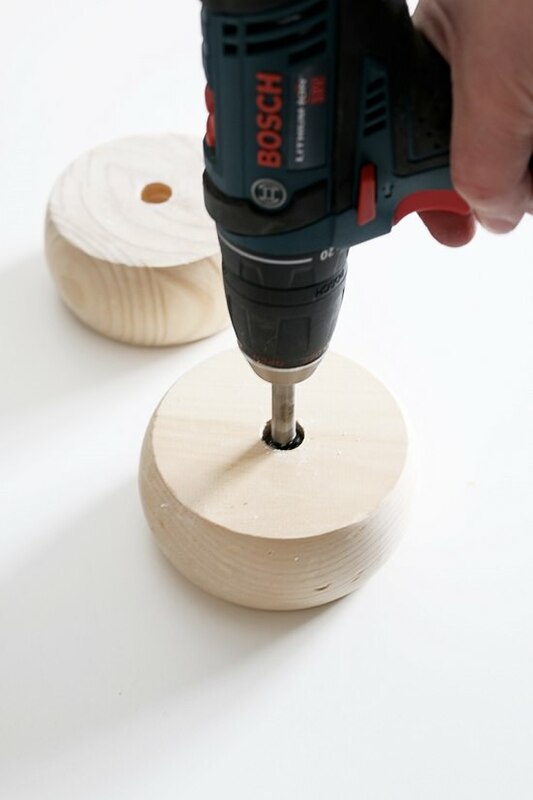 Drill a hole into the center of your wood, using the drill and a forstner bit that is the same width as your candle. Lightly sand and wipe wood clean. 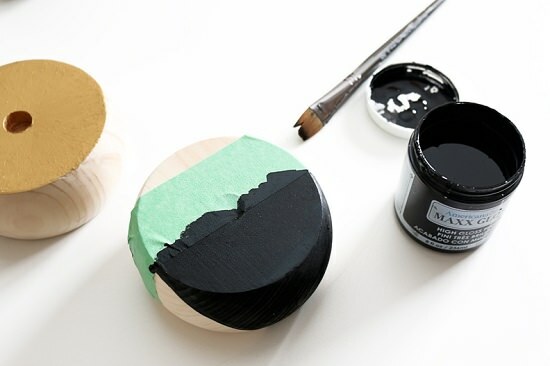 Tape off sections if you want a fun design or to protect paint from dripping in areas you do not wish to paint. Apply first layer of paint. Allow to dry in between each coat. Remove tape. 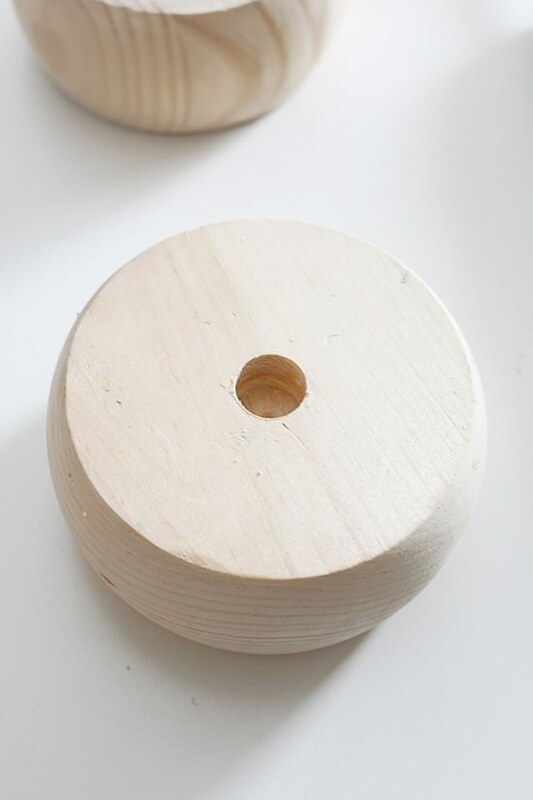 Simply place your candle into the drilled hole and enjoy! I decided to paint two – one black and gold, but you can choose any color! 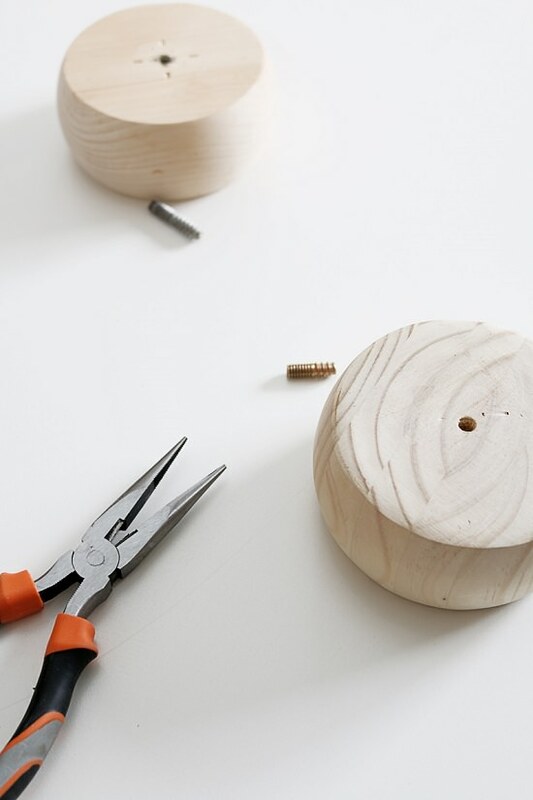 To keep the project under $30, you may just want to stick to one. I love the mixture of raw wood and a bit of metallic, color or both! 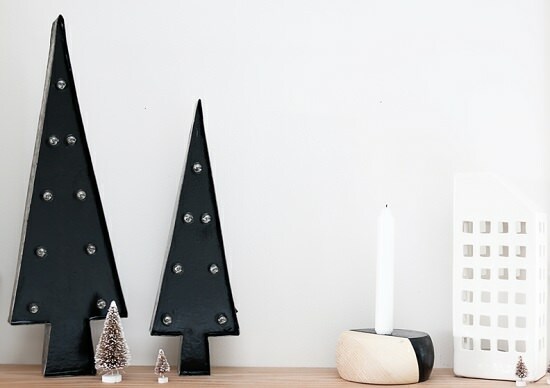 It’s certainly perfect for your holiday tabletop, a shelf or even windowsill to add a pop of color and a festive touch. 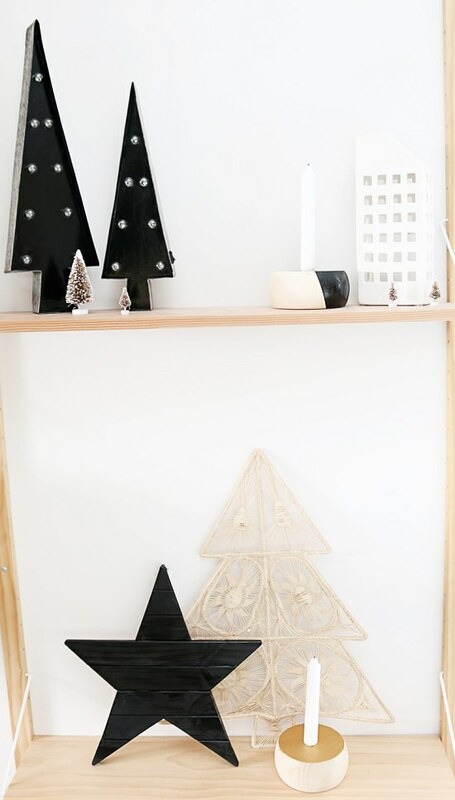 For more fun DIY ideas for under $30, be sure to head over to House by Hoff for a darling DIY Paper Leaf Tree!